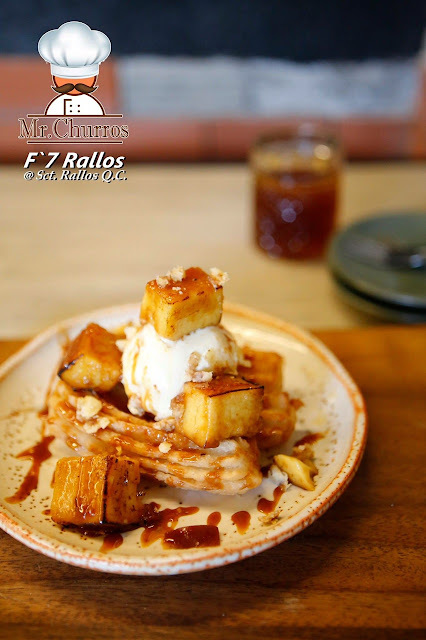 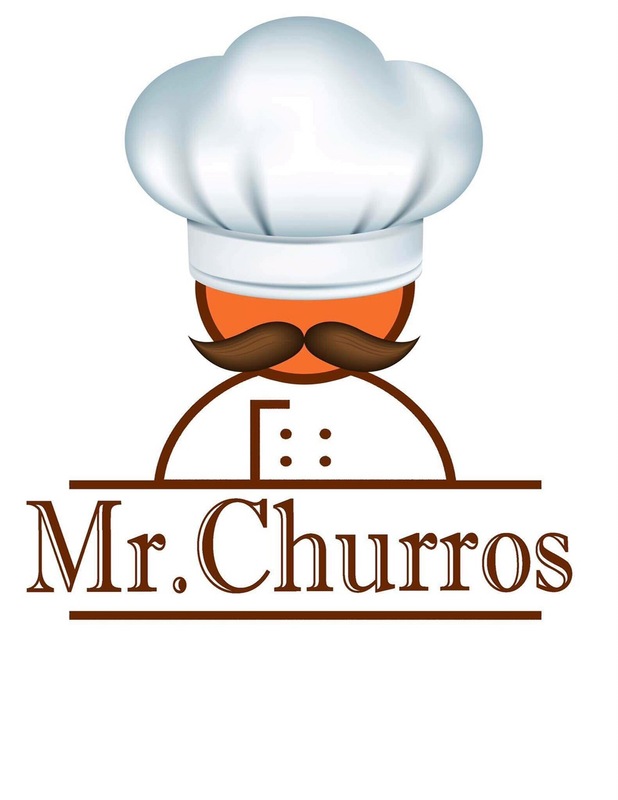 Just opened at the F7 Rallos pop-up is Mr. Churros. The man of sweets can be shown flexing not his muscles but those lovely churros that can be enjoyed with the whole family. 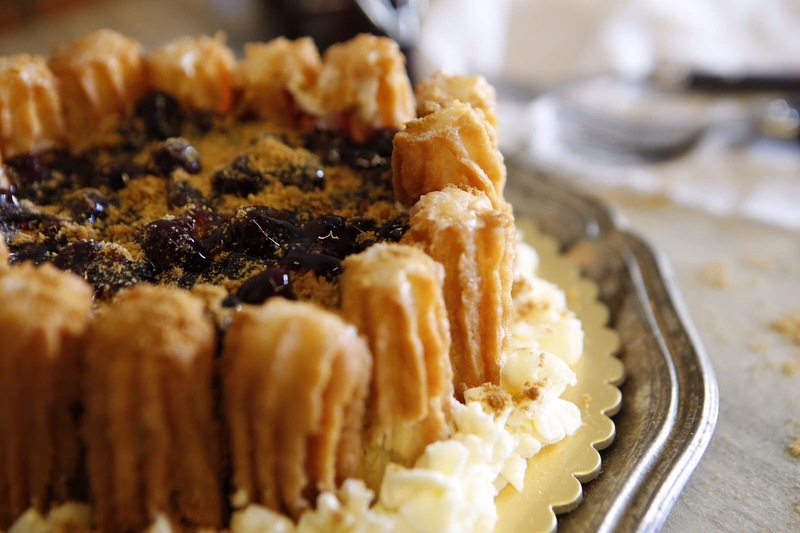 It can even be mixed with traditonal desserts ice cream and cake. That's two lovely desserts in one serving. 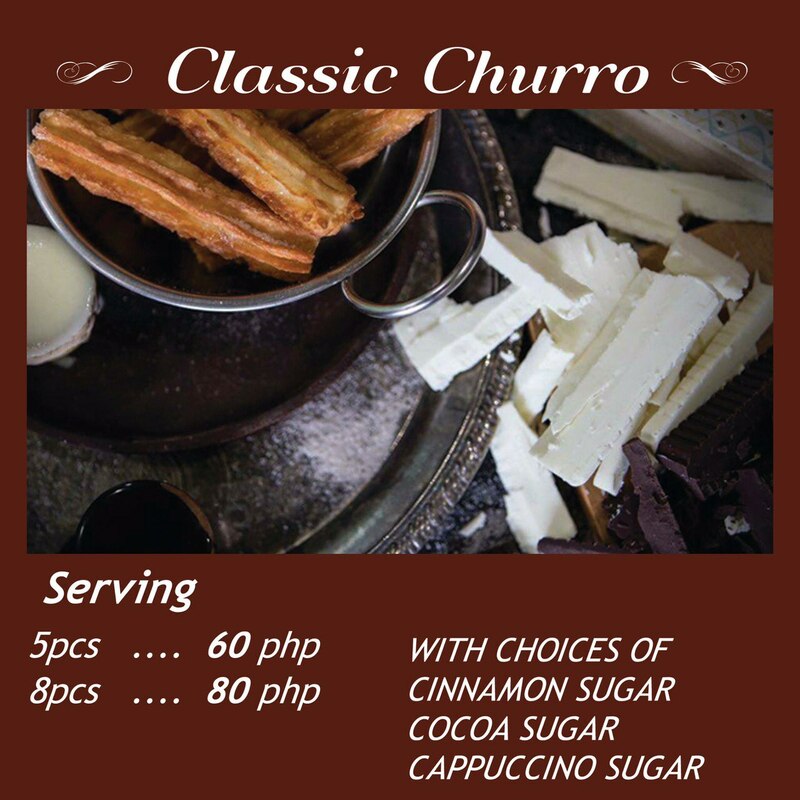 Who could resist that? 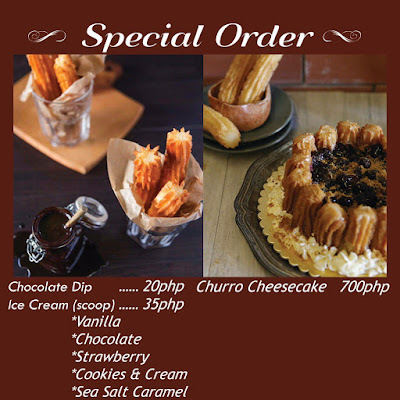 I have to say P700 for a whole Blueberry Cheesecake with Churros surrounding it is not as pricey as you think it is. 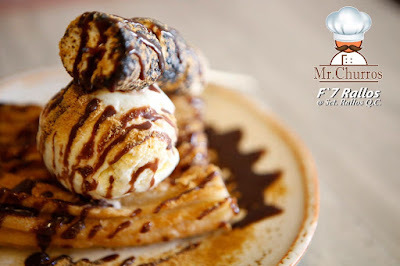 I mean you are getting two lovely desserts in one dish, right? Each slice takes you on a trip to heaven and back too. This one is as good as advertised. 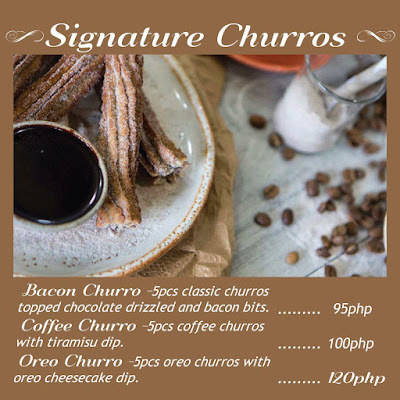 One of their signature Churros is teh Oreo Churro. 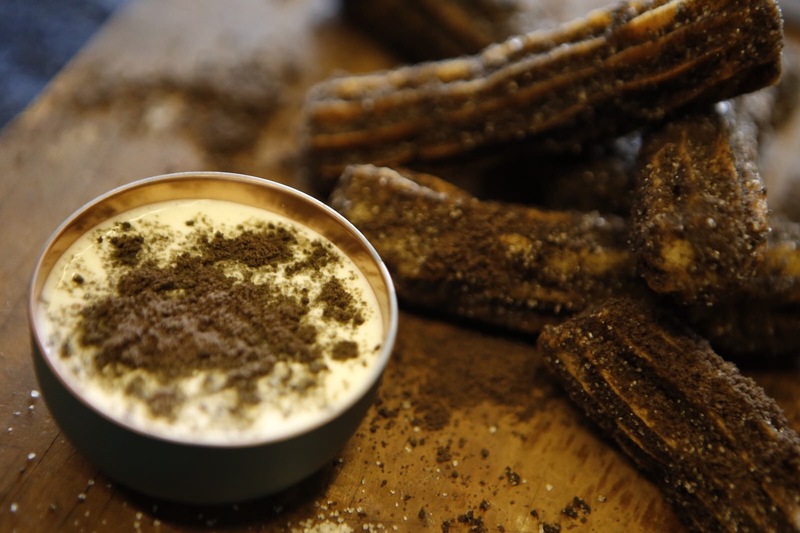 I am a big fan of Oreos and I'm glad they invented this type of Churros. 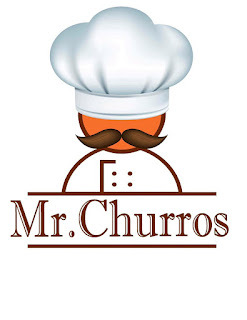 It was so good that there were times I was dreaming of it when I get the itch to come back to Mr. Churros. Another one of their signature creations is the Bacon Churro. Anything with bacon is nice and that includes Churros. 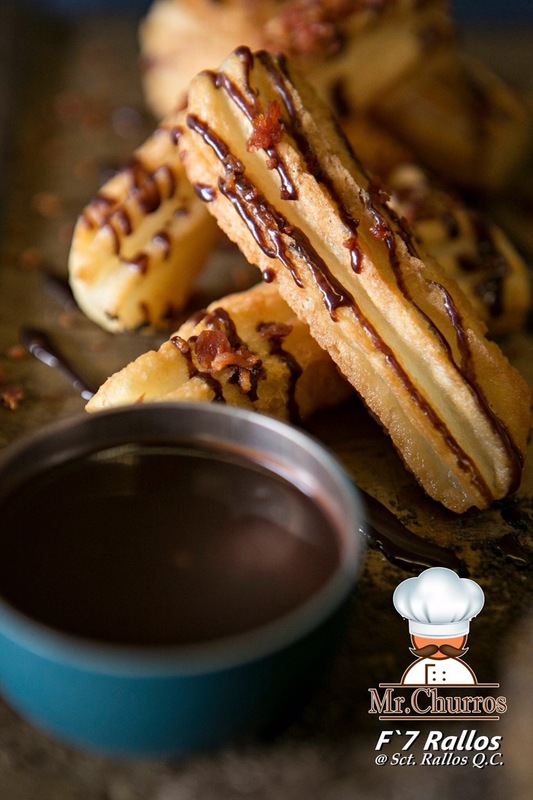 I have to say you must not forget dipping it into chocolate after mixing it with brown sugar for that yummy after taste. 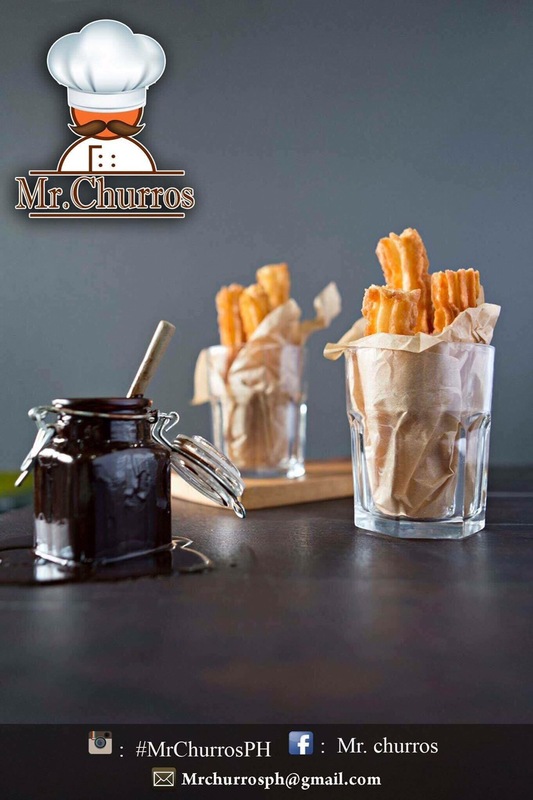 It is also possible to create your own churros volcano with all the yummy toppings available. 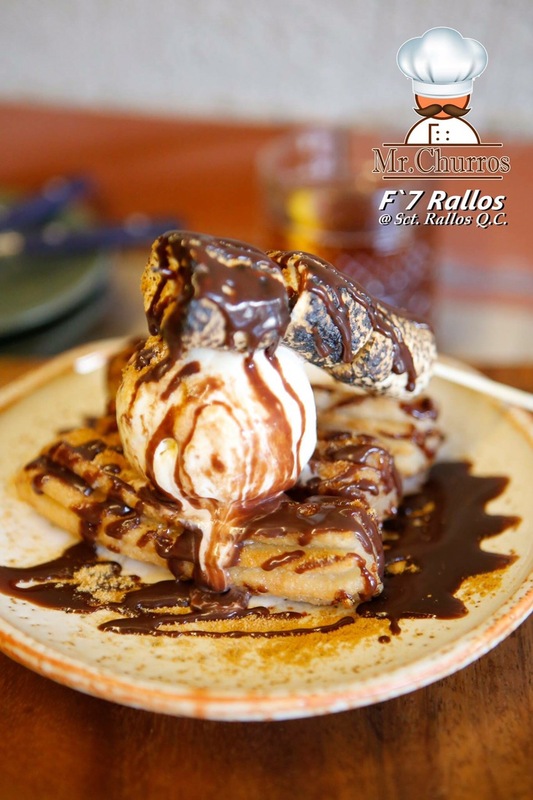 It will surely be one sweet ending after a yummy dinner at one of the restaurants in F7 Rallos.